Campground, loft cabin rental, fishing(no license required). Small quiet campground nestled in the hills of the Southern Tier. Lake Lane loft cabins have one bedroom with a full bed and a pull-out loveseat in the LR. Bathroom with shower, kitchen with small refrigerator, microwave, toaster oven, and includes utensils and tableware. Bring your own pillows and blankets. TV, A/C, and electric fireplace. Picnic area with charcoal grill and fire-pit. Lake Lane also has tent and RV sites. 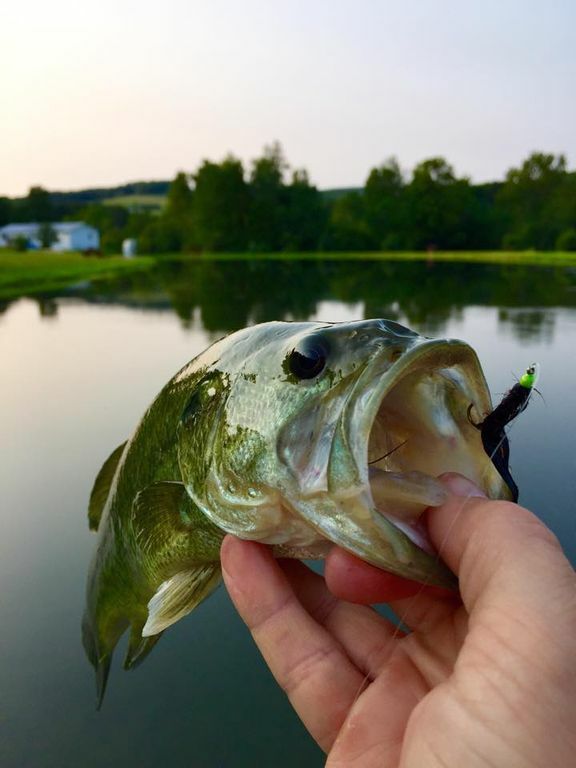 Fishing is fabulous with two large fresh water ponds for some of the best off-shore fishing ever! No fishing license required. Bait shop on site, kayak rental, horseshoes, and playground. Heated outdoor saltwater pool with slide. Great freshwater fishing on site, no fishing license required. Kayak rental, horseshoes, playground on site. Pool is currently being installed. For an up charge. Bring your own bedding and pillows. Must ask for pass code. Spotty service. One cup coffee maker provided with complimentary coffee, cream, and sugar. Cloths, soap, and one garbage bag provided. Dishes and utensils provided. Microwave. Can kayak nearby/kayak rental available. Skiing trails 40 minutes nearby. Snowmobile trails are available near our property. Our trip didn't go as planned but the property was very nice. A little smaller than expected but they did inform us of that prior to staying there. We came to stay for a snowboarding trip. The rooms being up stairs makes for a lot of trips up and down but at the same time the space at the bottom of the stairs worked out perfectly for get all of our gear on and off! Thanks Hannah you guys have a really cool set up going on there. We booked 2 nights here. We dropped our belongs off around 3pm and then went out. We didn't get home until 11pm that night. It was dark when we got there, but didn't think anything of it until we tried to walk up the stairs with our cell phone lights. When we got to our room, there still were no lights. We couldn't make beds, we couldn't hang out as a family. We tried to call the owners, but we were not able to get through. We didn't know what do to, and we didn't know how long the power was going to be out. We decided we couldn't stay there, so we went into town and stayed in another hotel for the weekend. We went back on Saturday morning to discuss this situation with the owners. We knew we were canceling Saturday night, so we asked for 1/2 of a refund for Friday night because we couldn't stay there in pitch dark, not knowing if and when the power would come back on. They agreed at that time. When we got home, we received a message saying they had changed their minds. They were not giving us a refund because the power came back on at 11:30pm Friday night. Well, how were we supposed to know that?? It is unrealistic to think we were supposed to sit there in the dark, not able to make beds, not able to hang out as a family, not able to play games, not able to do anything because at some point the power was going to come back on! We were very disappointed in the way they handled this unusual situation. I am very sorry that you had to experience the power outage for a half hour of your stay here due to a storm that blew out a transformer across the street. You were offered a free night for the future and you declined. I am very sorry we could not help you any further. It was a nice quick get away for the weekend. We rented a cabin, while small, met our needs of 4 adults and 2 dogs. Very pet friendly, and lots of lakes to fish out of. There was a beautiful pool area, but it was cool and rainy during my stay. We enjoyed our stay at Lake Lane. The accommodations were small, but comfortable, reasonably priced, & clean. Hannah was SO nice, and went out of her way to make us feel welcome and provide what we needed. Since we were there 4 days, not having laundry facility was a challenge, but we knew it wasn't available. We LOVED the heated pool and spent a lot of time there. It was very clean and had a nice shaded area to lie on chairs and watch the kids swim. We would definitely recommend it to others. Brand new, very neat and clean. Owners were so personable. Convenient location. Occupancy Taxes of 5% will be collected upon arrival.